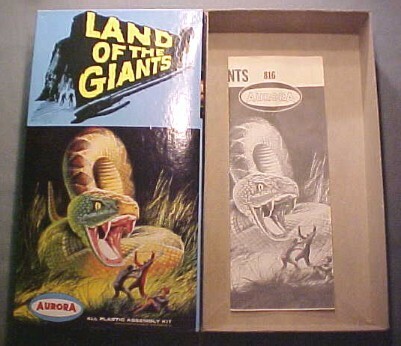 A very rare Aurora display diorama promoting there 1960's kits. This Company built and painted there own kits and had them displayed in stores that sold there famous models. The kits were painted the same, and were very professionally made. Many of these kits were either sold to a lucky kid bugging the store owner weekly, or they were damage and thrown out after the stores sold out of the classic Aurora kits. These are very rare today, and are quite collectible for Aurora & TV fans a like. 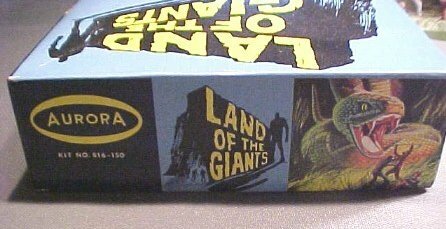 If you have a letter from Aurora on how the diorama was to be displayed in the store, it will add much value to this great item.